It’s been several years since we first met Emmet, Lucy, and the gang, but they are back and this sequel might just be more awesome than the first one. Mom’s there is a chance you might need a tissue if you have kids that want to play with each other but end up fighting a little bit. I saw so much of my kids in this movie. I mentioned to my friend that I feel like this movie was almost made more for the adults than for the kids. There were so many comments and jokes that really only parents would pick up on. For example, they show Aquaman for a minute but he walks away and someone basically says, “he’s off on his own private adventure right now” referring to the new Aquaman movie. My kids (14 & 9) and I loved the movie. We laughed so hard that our cheeks hurt by the end. Go see it because everything is awesome! 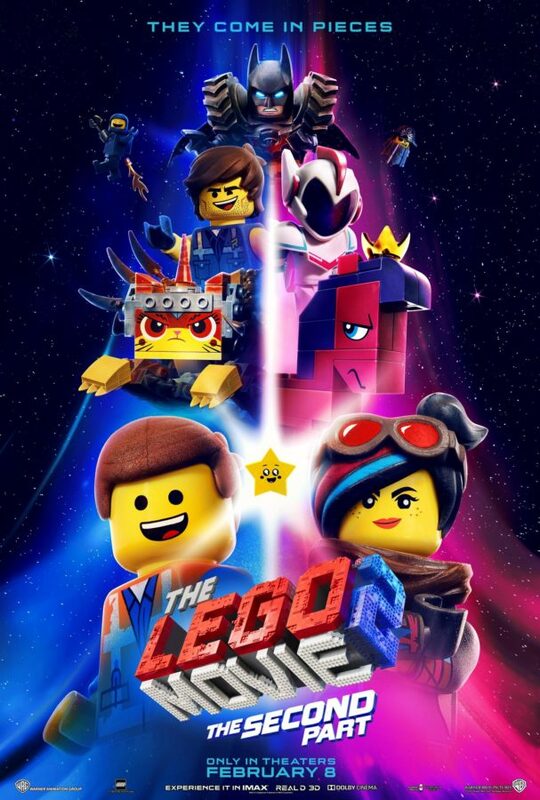 The Lego Movie opens nationwide Friday (2/8/19)!